There ain’t nothin’ wrong with a little bump ‘n grind… especially on your Easter long weekend. 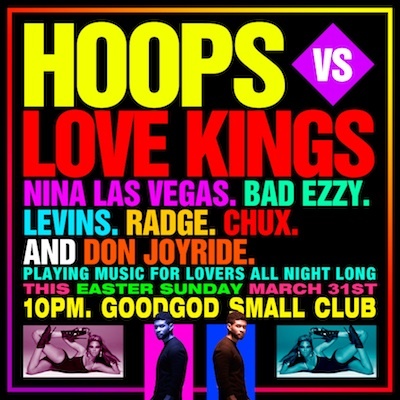 This Easter Sunday, HOOPS & LOVE KINGS team up to take over the whole damn club for a very special public holiday eve. With Ciara’s ‘Body Party’ played at least 7 times per hour, this party will be stupidly fun. Rhythm and Blues from 10pm til the Ascension.